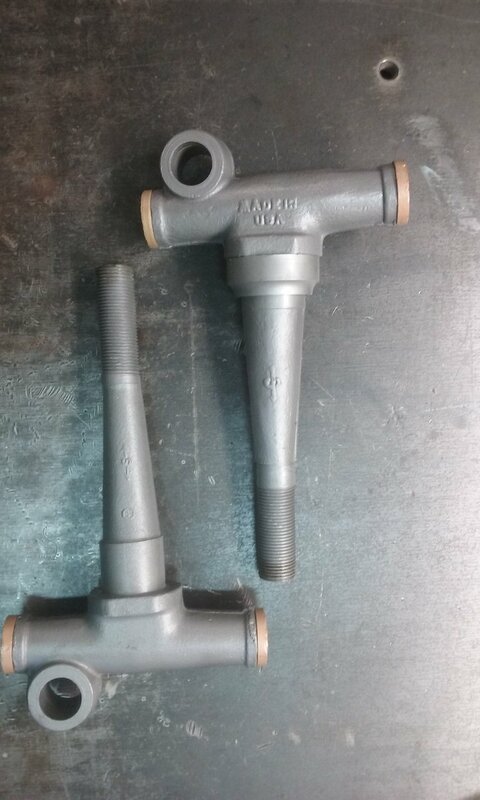 I picked up these NOS spindles. They are not Ford, must be an early aftermarket brand. Wondering if anyone can ID the makers mark. Looks like an S, with arrows pointing each side. They appear to have more camber than standard Ford spindles. I had heard some years ago that someone made a special run of something like that. Maybe could be a pair of those? Otherwise, I have no ideas. I checked the camber, same as a Ford spindle. Another clue that these are not Ford built is the "keyway" for the washer is round cut, not square like the Ford. 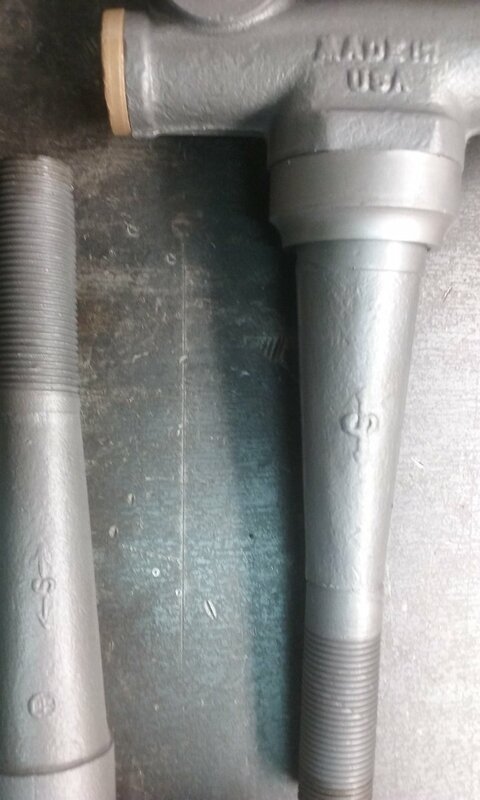 I tried to look up this forge mark on line but have had no luck. Dan, some things never change. The OEM's still tell you to only use their genuine factory parts. 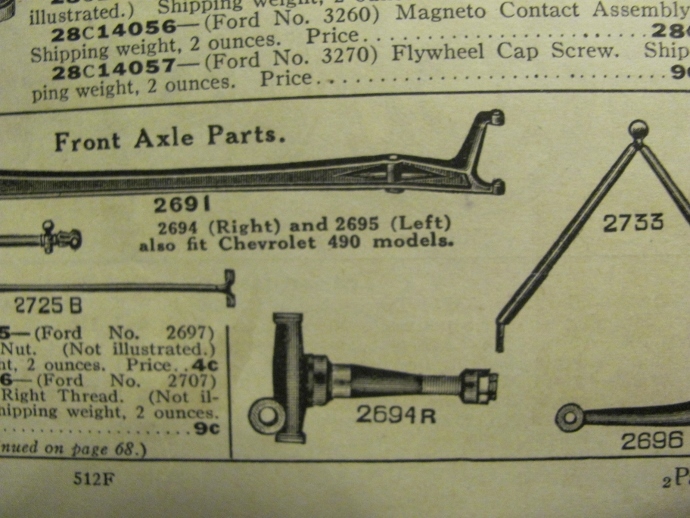 These spindles must have been sold by the " Auto Zone" of the twenties. I would still like to find out who made them. I will have to start digging through some old time car magazines. Those stores were mostly Sears Roebuck, and Western Auto. 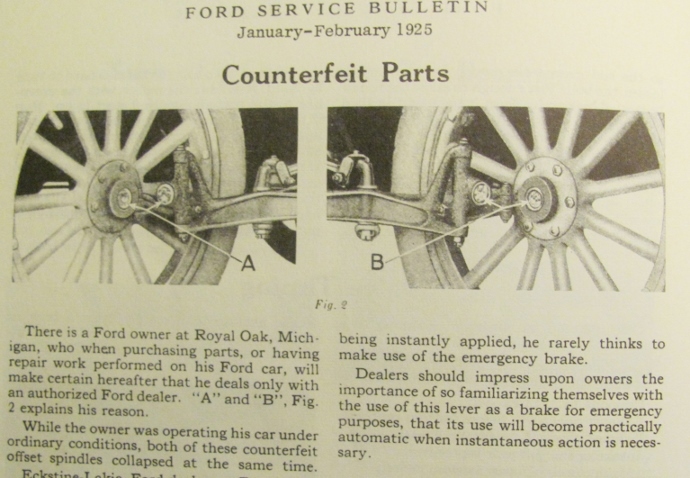 Both supplied 'parts for Fords'. 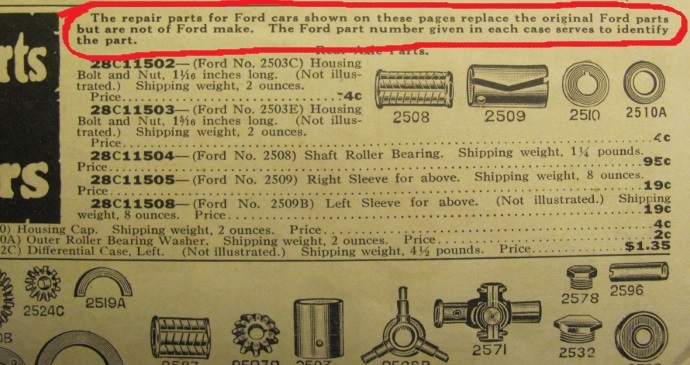 Note they say parts for Ford, not Ford Parts! Here is Sears Roebuck auto parts, note the caption in red. And the spindles they offered, Western Auto had spindles too. There we go,,,,, The S is for Sears!